The remains were recovered off Grindleville Road near the Blue Hill-Sedgwick town line. BLUE HILL (NEWS CENTER Maine) -- State police said human remains were found in the woods Wednesday morning in Blue Hill. 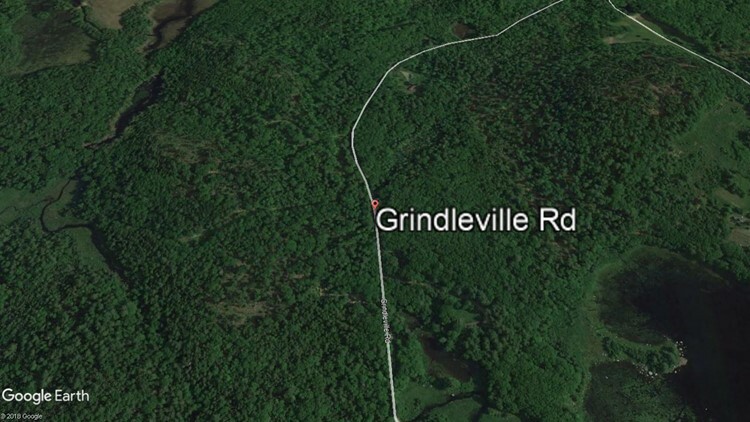 A deer hunter made the discovery near Grindleville Road and contacted the Maine Warden Service, state Public Safety spokesperson Steve McCausland said. The remains were recovered and taken to the state medical examiner's office in Augusta for examination and identification. McCausland said state police have been looking for 37-year-old Jessica Grindle of Blue Hill since August when she was reported missing. Searches have taken place around two ponds near the Blue Hill-Sedgwick town line. Grindleville Road is near that area. Positive identification will be conducted by medical examiner's office, McCausland said. That's expected to begin on Thursday.